Is MF portfolio churning good? 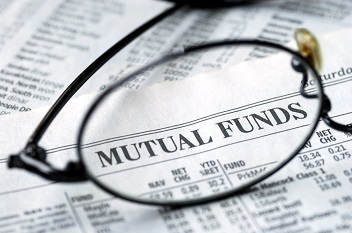 Mutual fund houses engage in churning their portfolio of investments depending upon the market conditions. The type of mutual fund scheme also determines how much churning the fund manager can engage in. So, how does one know whether the churning is low, normal or excessive and whether it is good or bad for your investment? Let’s find out. The churning of portfolio by a mutual fund is indicated by the portfolio turnover ratio, which is calculated by taking either the value of purchase transactions (or sales transactions, whichever is lower) over a period of one year and dividing it by the average net assets of the fund during the period. So, if a fund having average net assets of Rs 500 crore purchases Rs 200 crore worth of securities (assuming purchase value is less than sales value) during a year, the portfolio turnover ratio would be 40% (i.e. 200/500x100). Therefore, if the portfolio turnover ratio is 100, it indicates that entire portfolio has been churned over a period of one year. The churning of portfolio depends on the type of fund which, in turn, determines the objective of the fund. If the fund is a growth-oriented fund or an opportunities fund, the churning would be higher to generate higher returns, but if the fund is a value-oriented fund, the churning would be lower as the aim is to generate lower but stable returns. The market conditions largely determine the churning of portfolio. During a period of high volatility in the stock markets, the portfolio churning is usually higher as fund managers, in order to generate higher returns, try to take advantage of the great many buying and selling opportunities that volatile markets throw up. So is portfolio churning good for your investments? Higher churning means higher expenses that eat into the returns of the fund, but if the returns generated due to churning of the portfolio are high enough, these expenses may impact the returns too much. But if the returns are low and the expenses are high, then such churning is detrimental to the returns on your investment. It must be noted that higher churning may not necessarily generate higher returns on a consistent basis. In fact, it has been observed that higher returns have been generated consistently by holding stable portfolios over the long term. Hence, the professional knowledge, experience and expertise of the fund manager are what counts for generating superior returns consistently.